Invisalign® is one of the most popular orthodontic solutions for straightening teeth. It requires more maintenance and dedication than traditional braces, however. To get the most from the treatment, it’s crucial that you work with your dentist and stick to best practices. This will ensure a speedy and accurate alignment that results in a stunning smile. 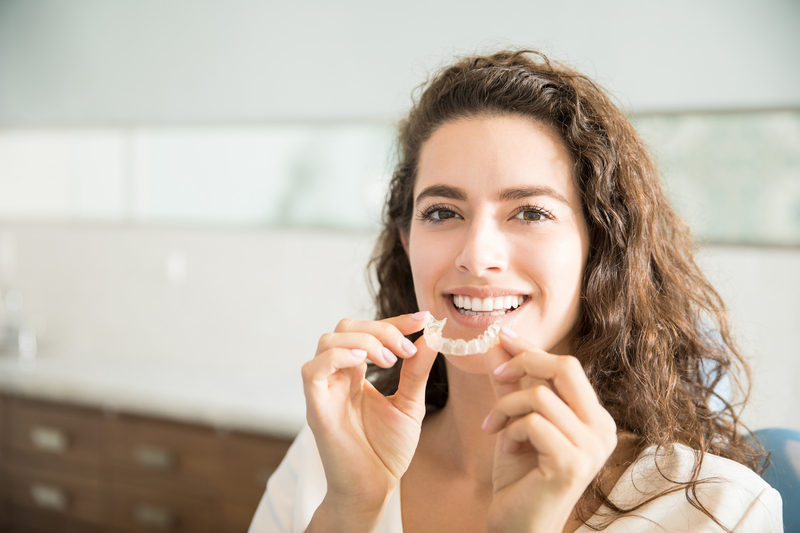 The plastic Invisalign® aligners can become a breeding ground for decay-causing bacteria. Gradually, they can collect food particles and other debris that get pushed against your teeth and gums throughout the day. This can result in harmful infections, decay, and other dental issues. Commit to brushing, flossing, and cleaning your aligners daily, or per your dentist’s guidelines. This will ensure your mouth stays healthy during the alignment process. Because Invisalign® trays can be removed, many people build bad habits of not wearing them for the recommended time. On average, you should wear them at least 22 hours each day, taking them out only to brush your teeth or clean the trays. This will give you the fastest results. You should also meet with your dentist regularly so they change the aligners as your teeth move into place. When you do remove the aligner trays, you need to handle them with care. Always have a dentist-approved carrying case to place them in. Clean them regularly with special products and be careful not to drop or bend them. The trays won’t be as effective if they’re damaged, and you may have to pay for costly replacements. If you’re interested in exploring Invisalign®, turn to the team at Family First Dentistry. Serving residents throughout Anchorage, AK, this dentistry practice offers a number of general and cosmetic services, including teeth whitening, fillings, and orthodontics. They use the latest CAD/CAM technologies to create restorative solutions, including dental implants, and welcome walk-in patients and those facing emergencies. Call (907) 562-2820 to schedule a teeth cleaning and visit their website to learn more about the dentists on their team. For regular news and updates, like them on Facebook.